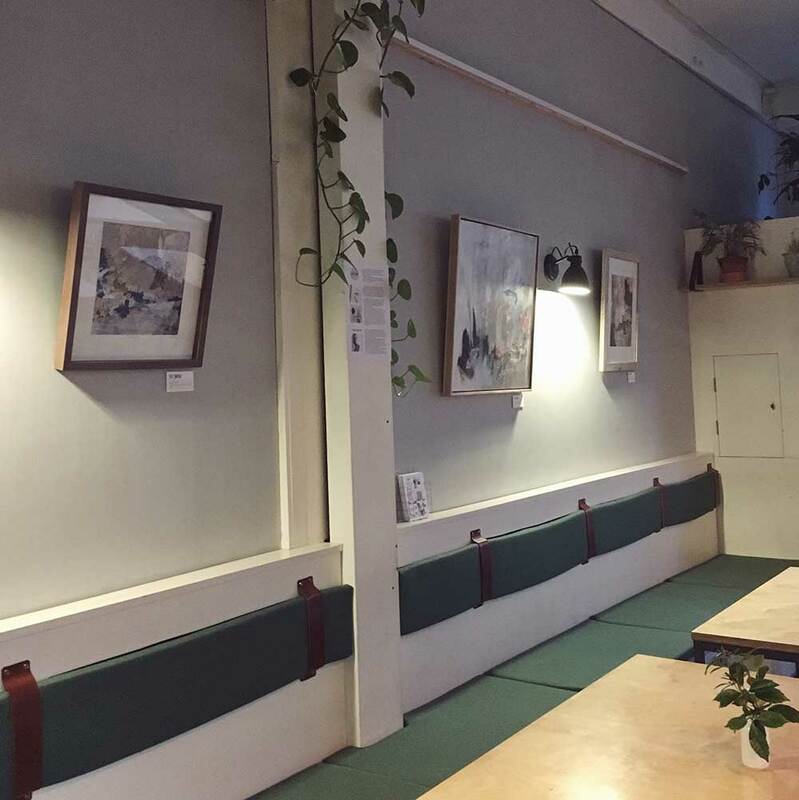 You can now find a little bit of Sky Siouki artwork in Bristol restaurant, Dela, on Mivart Street in Easton. Dela is a gorgeous open and spacious restaurant offering a varied and unusual seasonal menu of Swedish inspired food for brunch, lunch, dinner and drinks. The exhibition runs until March 12th. I have three pieces of artwork on show across the main back wall of the dining area. A framed print of Bright Haze, framed print of Cormorant and original painting Shore Song. All are available to buy although not directly through the restaurant, so shoot me an email at sky@skysiouki.com if you’d like to buy one following the exhibition. I do also have an ample selection of unframed giclée prints and greeting cards available to buy straight from the restaurant in the small shop space next to the bar. 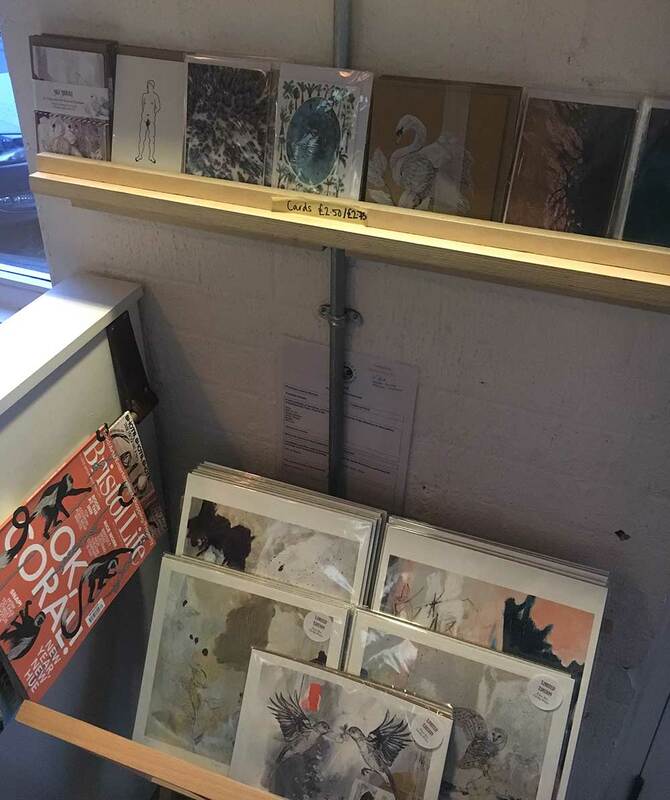 Find a browser full of my prints to your right when you walk in and a varied selection of cards by myself and other lovely Bristol designers on the shelves above. This new showcase of emerging Bristol based artists will be called ADVENT and will run from 4th December 2017 – 4th February 2018. 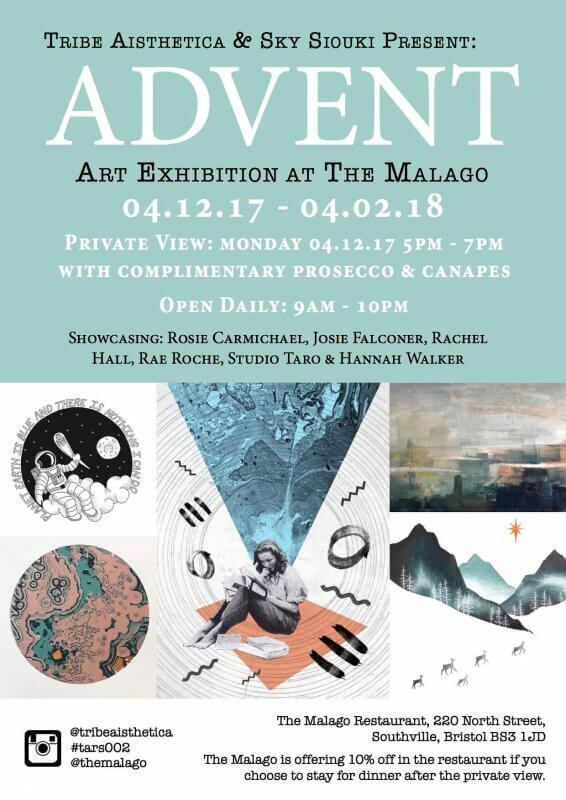 There’ll be a private view on Monday, Dec 4th between 5-7pm with complimentary canapés, prosecco and live music plus a 10% discount in the restaurant for those who want to stay for dinner! The artists we have selected for this show are Rosie Carmichael, Josie Falconer, Rachel Hall, Rae Roche, Studio Taro and ceramics by Hannah Walker. There will also be a few of my own prints and artworks available as per usual amongst them. We’re really excited about the slightly cosmic, ethereal mood that has emerged through this selection of artists. There’s a very soothing colour range of dusky pinks, teal blue, turquoise and monochrome tying all of the work together beautifully with a very textural and natural appearance throughout. A show not to be missed! Each exhibition has a subtle seasonal influence and focuses on promoting local artists, reflecting The Malago‘s focus on seasonal dishes and locally sourced produce. 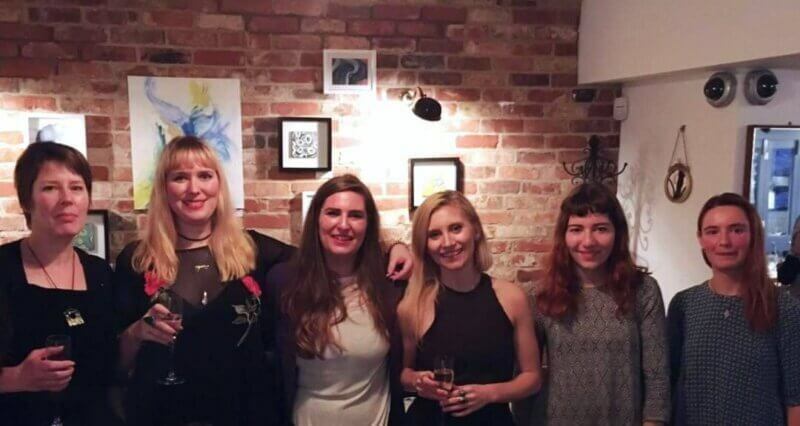 The restaurant provides us with a really beautiful space to exhibit in and our first Tribe Aisthetica curated exhibition, Equinox, has been a great success over October and November. The private view for this one will be lovely and festive with mulled wine and mince pies also available. The perfect opportunity to shop for a piece of art by a local artist to gift this Christmas! As you may have gathered, our exhibition titles have a moon phase influence, going with the seasonal theme. There are four more to go in the pipeline following Advent, which will called be Lenten, Ostara, Solstice and Harvest. If you’re interested in submitting your artwork, please contact Abi from Tribe Aisthetica at tribeaisthetica@gmail.com for more details. The Malago is at 220 North Street, Southville, Bristol. We hope to see you there! 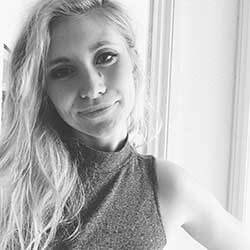 Just a quick little update on the most recent happenings here at Sky Siouki HQ. Most exciting of all the new Flight collection cushions and coasters are now available through two new UK stockists as of this week! The Golden Hare Gallery (top image) in Ampthill, Bedford and Jane McIntyre Design (bottom image) in Winchester. They’re both beautifully curated spaces that I feel very proud to have my products within. Hopefully Sky Siouki will be gradually spreading it’s wings further and further throughout the country so that you all can find a stockist near to you soon enough. In other news I have been keeping up with my 100 opportunities challenge for 2016 and have now reached number 30 now so I’m making good progress! Might even reach 100 before the year is out at this rate. It’s been an excellent way to encourage myself to make more contacts and do more things that scare me. I’m itching to get some more designs out in the form of giclée prints and perhaps even some original artwork and printed fabrics by the metre eventually. I’ve been a little preoccupied with getting orders out this past month so it’s been hard to find the time to get creative what with being a one woman act and all. Keep your eyes on my Instagram for updates and rest assured soon enough the designs will come. I’ve already received some lovely comments on a couple of the designs I’ve revealed a sneak preview of though so I’m very excited to get them listed in the shop. Patterned Fruits designs by Hannah Rampley for Candid Fabrics – These colourful, quirky designs are quite bold and graphic featuring stylised pomegranates and pineapples. A great way to add a splash of colour to a muted living space. Fruit by William Morris – Going from the most contemporary to the most traditional of my selection, this famous William Morris wallpaper is a classic, featuring beautifully illustrated pomegranates. I believe it’s still available to buy, including as fabric curtains from Linen Fields here. Pineapples by Dark Dog Studio – I really love this modern monochrome pineapple design by Hannah Galvin-Horne of Dark Dog Studio, especially used on this vintage chair. I’ve come across the print a lot on Pinterest and it seems to be a big hit but I think the designer is currently still developing an online shop. Find out more about her here. Beatrix by Romo – One of my favourite Romo designs, inspired by vintage illustrations but using bright contemporary colour I think this floral design featuring pink berries strikes the perfect balance of traditional vs. modern. Pears by Thornback & Peel – There’s not much Thornback and Peel do that I don’t like. Although their rabbits are probably my favourite this pear design has a lovely simplicity and would look stunning upholstered on a chair. The linen it’s printed on has a lovely texture to it as well. See more of my favourite designs and patterns on my Pinterest and discover my own designs too by visiting the Sky Siouki shop. In the spirit of Summer and spending more time outdoors, this week I’m featuring floral printed homewares! Flower designs mix so well with all sorts of interior styles and make a fantastic way to add a pop of colour and energy to a living space. So below are my favourite five floral items for the home that are available this season. Autumn Tea Towel by Whitney Elizabeth – Although technically Autumn themed I think the flower illustrations on this tea towel have enough colour and spirit to keep your kitchen feeling fresh all year round. Laburnum Cushion by Abigail Borg – I love Abigail Borg’s graphic design style and use of vibrant colour contrasted against muted tones. This floral cushion would sit well in a modern or a traditionally styled home. Flower Market Colander by MacKenzie Childs – Pretty and useful! This floral colander deserves to be given pride of place hung from a kitchen cabinet for everyone to see. Sissinghurst Castle Dinnerware by Anthropologie – You can always be sure to find lots of beautifully patterned pieces of crockery in Anthropologie. This collection of flowery tableware is my favourite from their current range, but it was hard to choose! Botanical Coaster Set by Rifle Paper Co. – These stylised floral illustrations by Anna Bond have a very pretty, summery appeal and would be the perfect way to add some pops of colour to your dining table layout. That’s all for now, but keep up with my blog to see more of my Top 5 features every month. You can find more of my favourite interior products on my Pinterest board NICE THINGS. and shop for my own Summer themed products in my online shop here. Something I often come across when browsing through my favourite interior magazines and blogs is the use of bold and eccentric design in bathrooms, especially well suited to a downstairs loo. Using a small space that you spend less time in than the rest of the house gives you the opportunity to go a little decor mad without having to spend loads or worry about over busying a calm spacious room. Below are my favourite five examples of beautiful and exciting wallpapers perfect for an off the wall bathroom! 1. The Original Martinique Wallpaper by Beverly Hills Wallpaper. This infamous classic banana leaf print has had a big resurgence in popularity lately. Very bold and very green, I don’t think I could handle a whole living room filled with the leafy design but it works perfectly for a small bathroom. I love how it’s been paired with a jungle themed print in the example above. 2. London Toile by Timorous Beasties. Another famed wallpaper by my all-time favourites, Timorous Beasties, who’s London Toile looks pretty from afar but up close subverts the classical design style by depicting gritty and violent city scenes. This design is a little more subtle in terms of colour use but is certainly the most cutting edge of my selection. 3. Zebras by Scalamandré. You may well recognise this one from Margot’s bedroom in Wes Anderson’s The Royal Tenenbaums. Until now I had always thought that bedroom was a one of a kind wonder hand painted especially for the film so you can imagine my excitement when I discovered it is in fact a wallpaper available to all and in many different colourways too! It looks especially spectacular teamed with a majestic gilded mirror and gold accessories in this particular bathroom, although I personally prefer the blue version. 4. Apothecary’s Garden by Voysey. This classical Voysey design from c.1926 has a very Liberty print feel about it. If you’d prefer to give your space a more vintage style then I’d definitely recommend looking at Voysey’s other wallpaper designs too, amazingly all still available from Trustworth Studios. Whilst they are very traditional many of his designs feature birds and animals creating a fun and quirky mood still. 5. Deco Monkeys by De Gournay. This art deco style design has quite a chic look about it but the monkeys maintain a vibrant, playful theme perfect for a wild and eccentric bathroom. Available in a few different colourways, I think I like the decadent gold version with it’s pink highlighted berries best. So there you have it – my top five wallpapers for exciting bathrooms whether you’re looking for a classic, contemporary, whimsical, vintage or chic design. Believe me it was very hard whittling it down to just five. If you’re still on the hunt for a wallpaper for your own bathroom or small space I’d recommend checking out more of Timorous Beasties, House of Hackney, Julia Rothman and Louise Body too. Follow me on Pinterest here to see more of my favourite prints and interiors. Springtime is now in full swing and so in light of all the lovely weather we’ve been having, this month’s Top 5 feature is on Spring inspired prints! All the prints I’ve picked are for interiors either on furnishing fabrics, wallpapers or interior accessories. Lotus Pink Cushion by Bonnie & Neil £75 – Love the vibrancy of this pink botanical print by Australian brand Bonnie & Neil, contrasted nicely with a fun black trim. Bashful Bunnies Silk Cushion by Silken Favours £95 – I’m a huge Silken Favours fan and a major rabbit lover too so when this new silk bunny design came out it was bound to be an instant hit with me. PowderPuff Rose Fabric by Abigail Ryan £89 per metre – Abigail Ryan’s graphic florals and bold colours create a really strong Spring vibe full of warmth and joy. Harrys Garden Fabric by Louise Body £55 per metre – This design is a little more subdued but the sweet little garden birds inject some Springtime life into the delicately illustrated design. Harvest Hare Wallpaper in Corn by Mark Hearld £60 per roll – Mark Hearld’s linocut designs have a beautiful timeless quality. This wallpaper would make any room feel warm and happy even when it’s not Spring. Keep up with more of my Top 5 features on the Shopping section of my blog.